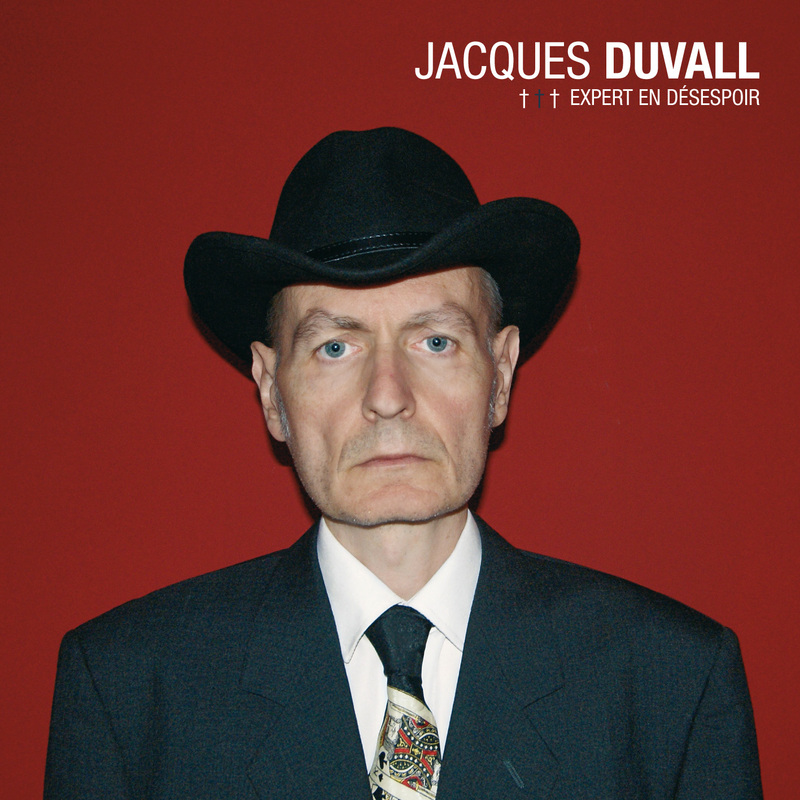 2010 : Freaksville Record : Jacques Duvall : Expert en désespoir : guitar session. Slide guitar on "Expert en désespoir" album by Jacques Duvall. • Chagrin de beauté taken from "Expert en désespoir" album. Jérôme Danthinne : drums programmation and percussions. Miam Monster Miam : electric and acoustic guitar. Raphaël Wynands : electric guitar. Jérôme Mardaga : electric guitar. Coralie Clément : vocals on "Par désenchantement". Henri Graetz : violin, glockenspiel, Casio organ, strings arrangements. Marc Wathieu : slide guitar on "L'insecte". Sophie Galet : backing vocals on "La Grêve Des Éboueurs". Mademoiselle Nineteen : backing vocals on "Chagrin De Beauté" and "La Chanson La Plus Triste Du Monde". Christa Jérôme : backing vocals on "Désespère", "Tout Doucement", "Je T'Emporterai Au Paradis", and "La Chanson La Plus Triste Du Monde". Sébastien Walnier : cello on "Pas Moi". and at Bureau Freaksville by Miam Monster Miam. Produced by Miam Monster Miam. Jacques Duvall was there in 1977 when the punk movement took Europe by storm. Belgium being only a few sea miles from England, Brussels was one of the first cities outside of London to be infected by the new virus. Jacques managed somehow to write a song for The Runaways, the now mythical all girl glam rock band from L.A. and started working with parisian muse Marie France, an artist from L'Alcazar who was befriended with The New York Dolls. In his home town Brussels Duvall spotted a 16 young portuguese cutie called Lio and wrote for her the million seller "Banana Split". Of course then his life changed. He began to write songs for french stars all acquainted with the infamous Serge Gainsbourg. Jane Birkin, Alain Chamfort, Etienne Daho, Dani... Duvall became the stand-in for the master and he was enjoying this status, having always been a fan of B movies and often prefering the so called copy to the original. Mansfield over Monroe, Collins over Taylor, Iggy over Jagger, Prine over Dylan. Now he is nearly 60 year old and it is his turn to be copied and followed. He likes that too. No copyright court process to be feared if you try to rip off his I don't give a damn attitude and his provocative but ironical laid back style. His latest album is called "Expert In Despair" but behind the dark Townes Van Zandt influence you will sense a sweet sense of humour. Belgians never take themselves too seriously. Originally Duvall planned to appear on the sleeve with a clown nose but he finally listened to his fiancee who found him so cute in his sunday clothes complete with gambler's tie. Enjoy this curiosity and forget for once in your lifetime to buy the same Top Ten records as everybody else in the world! Jacques Duvall : my pictures on Flickr. Expert en désespoir on Discogs. Jacques Duvall : more news on my blog.